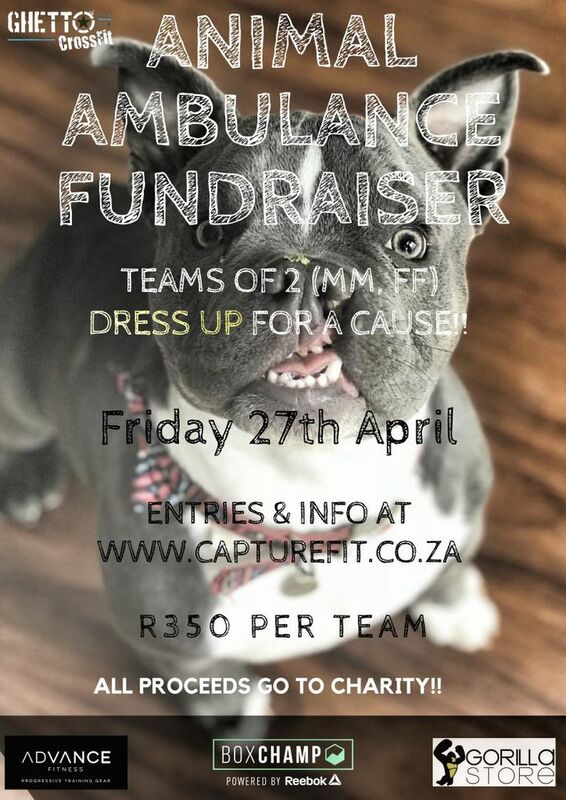 Ghetto CrossFit is proud to host a fund-raiser for the non-profit, private animal rescue center called The Animal Ambulance, which is a 24hr emergency shelter for sick and abused animals. We will not have 1st, 2nd or 3rd placings on the day, but instead we will have a few spot-prizes (such as best dressed, amongst others) so EVERYONE has a chance to win! Each team of 2 is requested to dress-up in an outfit (of your choice) to stand a chance to win one of our spot-prizes! 3 Workouts for each team to complete on the day.